Hello sweeties. 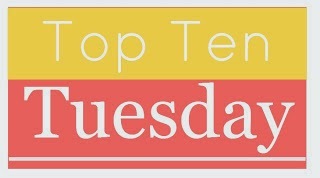 Today's Top Ten Tuesday topic is: Top Ten Books I'd Love To See As Movies/Tv Shows. I'll list five books that I want to be made into movies, and five that I want to be made into tv shows. You might not know this but I'd much rather watch a movie adaptation than a tv show one, but there are some series that I can't imagine made into movies. The Selection is an obvious choice for me. I heard that Warner Bros won the movie rights, though after two unsuccessful tries to make this lovely series into a tv show I'm really afraid this'll badly fail as well. Why do I think this could work as a film? Mainly, because these books are not long and not nearly as action packed and complex as books like The Hunger Games or The Maze Runner. Which makes me think it might be easier to write a script that follows the story, and with that it could easily earn the fans' support. My last but maybe biggest reason is that I'm dying to see the dresses in real life. 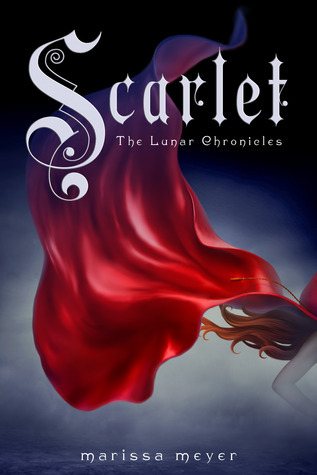 The Lunar Chronicles is one of my all time favorite series, and while I'd love to see it on the big screen I fear that no one would be brave enough to invest a lot of money into a book adaptation when other best-selling books' adaptations, like The Mortal Instruments or Vampire Academy, failed miserably. Anyways, if this movie is done right, I'm sure it could attract many viewers, even people who haven't read it. For Real would make such a fun movie. I'd love to see some girl power on the big screen because I think there really are not that many movies that broadcast to teens that you do not need a boyfriend to be happy. Also, seeing all those gorgeous cities, and the humorous challenges the characters had to do would be awesome. The faults of the book could easily be polished to make the best ever movie that was made about a reality show. A Monster Calls no doubt deserves a chance on my list, even though I just checked and it will actually be made into a movie! It's due to 2016 October and I'm already unbelievably excited for it. I think it's really educational, and also can be watched by a huge variety of people. I'm dying to see how the tree monster looks like on the big screen! 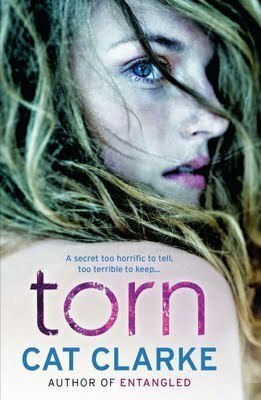 Torn was one of my favorite books in 2013 and I still remember how much I enjoyed reading about Alice's life. Guys, if you haven't read this go ahead and check it out here, because it's unbelievably underrated. I really want to see this book made into a movie because I found it just the right amount of sick, with just the right kind of crazy characters. The Winner's Trilogy while not exactly set in the past, definitely has the atmosphere of a historical empire, and I'm pretty sure tv shows like that are a huge hit at the moment. Why I'd choose to make it into a tv show rather than a movie is that I can't imagine a 2 hour movie giving us back everything this series can offer. 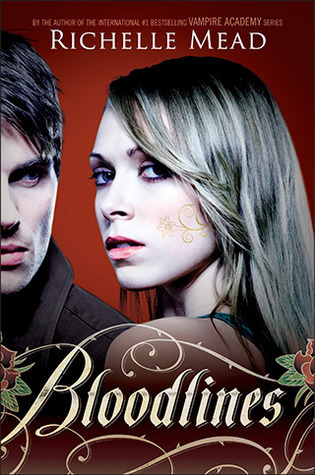 Bloodlines is one of my all time favorite series, or at least it was until the last two books came out. Anyway, I still love all the characters and the first half of the series was way better than most series I've read. I think Bloodlines could never make a great movie because there are so many characters, meanwhile a tv show? Now that could work. 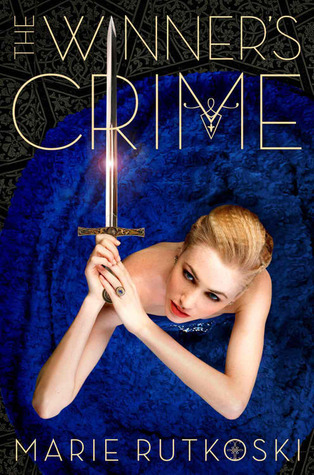 Daughter of Smoke and Bone could make a gorgeous tv show, though I'm not sure how the viewers would take the chimera. One of my worries is that the creators might make them too gross looking for the people who haven't yet read the books or too normal for those who did read the novels. Why tv show? I'm pretty sure this story would suffer great deals if it was crammed into three or four movies. The Raven Cycle deserves to be either made into a movie or a tv show, that I knew from the start. I picked tv show in the end because, like with The Winner's Trilogy I don't think a 2 or even a 4 hour movie would do justice to this wonderful series. All the information, the character development, the slowly progressing romance need a lot more air time than a movie could ever give. Preferably the four boys would be played by hot as hell actors. Anna and the French Kiss could make such a cute tv show if the script writers somehow mixed together the story of the three books. 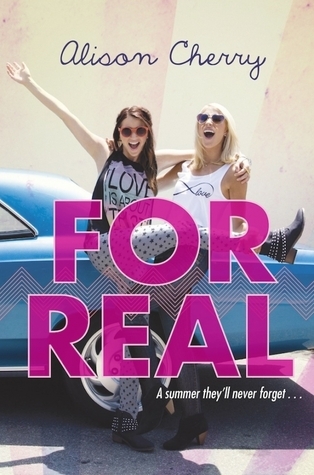 Or wait.. that is impossible because the second book takes place in the US. But there could be three seasons and every season would be about a different set of characters, and the previous main characters could either have a bigger or a very small role in the next seasons. These were the ten books I'd love to see either on the small or big screen. Do we have any in common? Share with me your TTTs! Wow, I was thinking just yesterday that I'd absolutely LOVE The Selection series as movies! They's be just so fabulous! The Lunar Chronicles would so perfect as a TV series, and trust me, I've only imagined that like, a thousand times :D Hope they happen soon!! The Selection would be such a good tv series! It would be like the fantasy version of the bachelorette! IKR? Would love if this happened! I vote yes on the Lunar Chronicles :) All the yes! I knew that The Selection was going to be in this list! :) Haha, I know you so well! That's right, I talk about that series ALL THE TIME. It must be getting super-annoying for you all. A REALLY hot actor should play Adrian, I'm not going to be alright with anything less than that. Completely agree with you on The Lunar Chronicles. It might get a chance though, because fairy tale retellings are hugely popular right now and I'm surprised no one has tried make this into a movie series. Sadly that's the only book on this list I've read, but The Selection sounds like it could be fun as a movie, too. (Yes, I plan on reading it.) 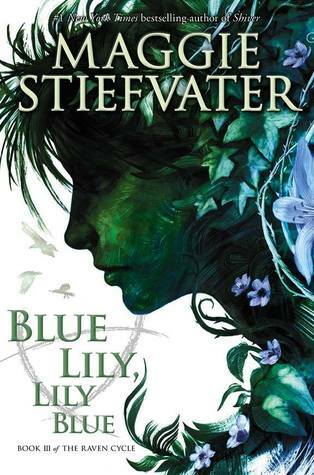 I also want to read The Winner's Trilogy and Daughter of Smoke and Bone as well as something by Maggie Stiefvater. Might be the Raven Cycle because I hear great things about it all the time. Finally, I'll be reading Vampire Academy later this month, so, depending on how that goes, I might be reading Bloodlines eventually. Daughter of Smoke and Bone and A Monster Calls are such good choices that completely slipped my mind! 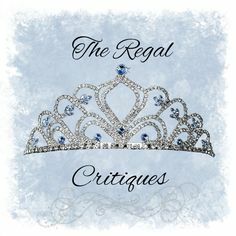 They'd be so gorgeously cinematic but A Monster Calls might even have a creepy Tim Burton-esque style which would be amazing *_* The Selection would surely be better off as a movie, not a TV show 0_o It just doesn't have enough plot to stretch into a TV show. I'm soo excited for A Monster Calls movie! I thought the same thing, that it should have a Tim Burton-esque style! Exactly! I love the series but it just doesn't have enough plot for a more than one season tv show. The Raven Cycle would be a perfect TV show!! I still haven't read Daughter of smoke and bone but I absolutely want to! IKR? I don't understand why these series aren't popular enough to be made into a tv show or a movie, they'd totally deserve it. Finally someone else who enjoyed the movie! I know it was kind of lame, but if you put all your mortification aside it wasn't as bad as... The Mortal Instruments movie. I honestly thought I'm the only one who enjoyed it. That would be awesome! But only if they chose better actors than they do for the Shadowhunter tv show. I don't like half of them. I sure hope so too! 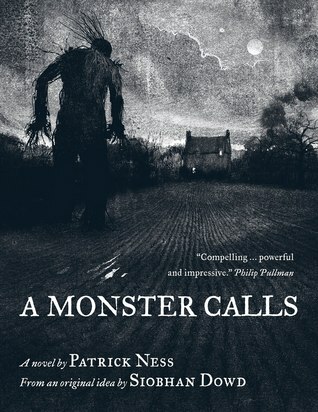 It would be horrible if an awesome books like A Monster Calls would be made into a bad movie. I think The Selection and Anna and the French Kiss would be wonderful tv shows!! I think Daughter of Smoke and Bone and The Lunar Chronicles could be great movies. Ahhh I want some of this to happen :D Super picks! 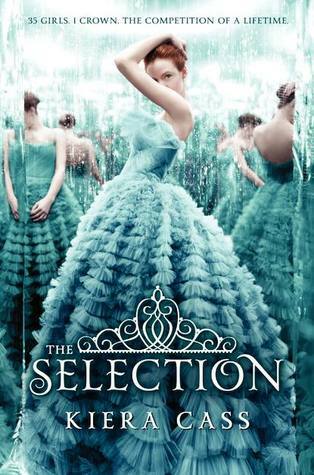 It would be so fun working in the costume department for The Selection movie! I can't wait for the A Monster Calls movie either :D Plus it's already got some famous people cast, so it'll probably get more viewers. 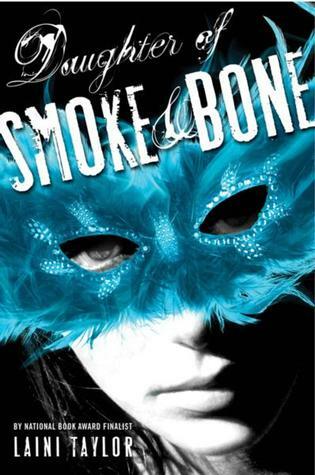 I think the Daughter of Smoke and Bone series is one that I would be really afraid for, were it adapted for the screen. Even if it was a tv show, would they have a big enough budget to make it perfect? I also think the Raven Cycle would make a great tv show - even if I've only read the first book! Definitely! So many pretty dresses... I thought the same thing about A Monster Calls movies, I just hope it'll be played in Hungary as well, if not, my heart might break. Unfortunately, I don't think they'd have the kind of money that would be needed to make DoS&B amazing. Still I'd like to see them try. Also, I want to see Akiva. 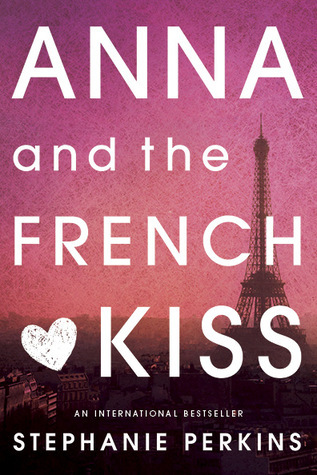 Wow, Anna and the French Kiss would make a great TV show! The Raven Cycle almost made my list but Maggie Stiefvater's world and language is so good and so unique that I almost prefer to keep it in my head (if that makes sense?) but wow would it be cool if someone like Paul Thomas Anderson tackled this series! And it might actually happen! Yay!